!! Rock Opera Project !! NYC Internships by Merit Theater and Film Group, Inc. THE STANDARD INTERNSHIP IS NOT CURRENTLY BEING OFFERED. HOWEVER, THE ENHANCED INTERNSHIP IS STILL OFFERED. IT MAY ALSO BE COMBINED WITH INTERNSHIPS FROM OTHER COMPANIES. 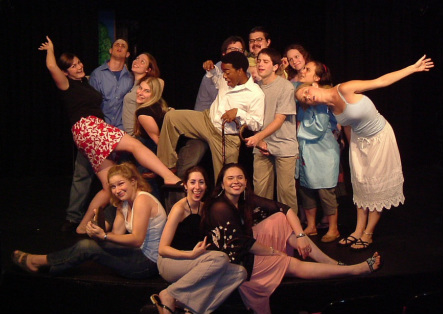 Since 2003, members of Merit Theater and Film Group (MTF) have presented their Internship Program at 13th Street Repertory. (TSRC). We offer internships year-round to students, including special needs students, and young adults from all over the world. Considered by many to be one of the best theatre internship programs in the country, MTF Theatre Internship Programs are conducted in a fun, exciting environment where the main focus is to empower youth on both a professional and personal level. As a top internship program, MTF provides a varied program that is constantly being added to. Internships may be in one area, or several may be combined to formulate a unique internship. MTF and TSRC provide a caring, nurturing, professional environment in which young people can flourish, test the waters, and if they fall, brush themselves off and start again or move on to something new. Our largest concentration of interns (between 15-25) will arrive in the summer to attend our Summer Internship Program at 13th Street Repertory Co., located in New York CIty's historic Greenwich Village. We encourage students to get involved in anything they want to explore, whether or not they have related experience. We tailor internships to the needs and interests of the applicant. Internships for school credit are welcomed and encouraged. Through the use of this website, you agree to its data practices. The only data we collect is your name and email address. We suggest you look over the privacy statements of websites you decide to link to from ours. We are not responsible for content and privacy policies on websites outside of our own websites. We will not sell, rent or lease email lists to 3rd parties. We protect your data from unauthorized access, use or disclosure. Anyone 12 or younger must get permission from their parent or guardian to use this site.